Detectives have issued an appeal for the capture of the killer of a ‘doting dad’ knifed to death in a row apparently over cigarettes. 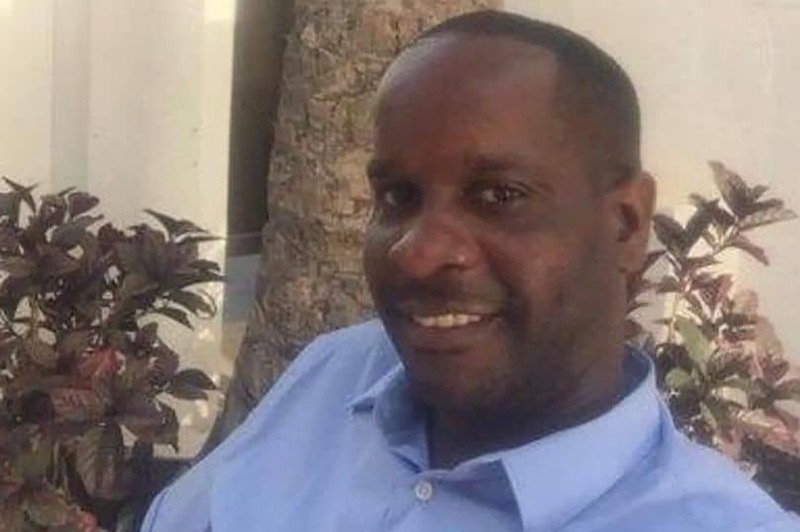 Dennis Anderson, 39, had his throat slit after a confrontation outside Pay Less & Wine in Lordship Lane, Dulwich at 2.35am Sunday morning. No one has been arrested in connection with the killing which is the 11th in the capital so far this year and the fifth in a fortnight. Friends paid tribute to Mr Anderson and said he “doted on his young daughter”. Luke Roche, 29, told the Evening Standard: “Dennis had been at a friend’s birthday party last night and must have been coming home. But I don’t know what happened. Detectives are searching through CCTV footage of the attack for the attacker who fled the brutal killing. 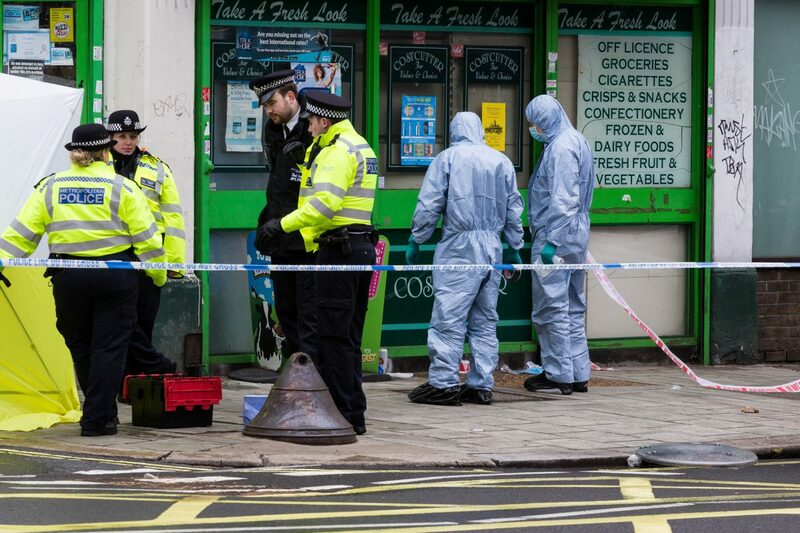 Horrified shop workers told how Mr Anderson was brutally knifed to death in an attack which lasted seconds when he refused to give a man a cigarette. 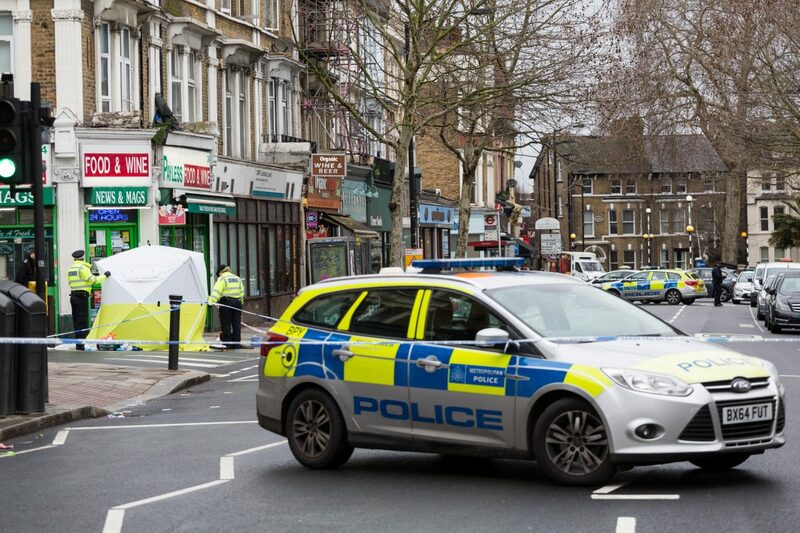 Police were called to the affluent south London suburb of East Dulwich in the early hours of Sunday following reports of a man being stabbed but were unable to save Mr Anderson’s life. The shop’s assistant manager, Muhammad Khan, said his cousin was working when an argument erupted inside the store, and has given a statement to police. “My cousin was here, he was manager. “They has an argument and he took out a knife. Everyone was trying to stop him. He added that his cousin was too shocked to speak to reporters about the incident. Four teenage boys remain in custody after being arrested on suspicion of attempted murder after a 16-year-old lad was stabbed in Hayes, west London. 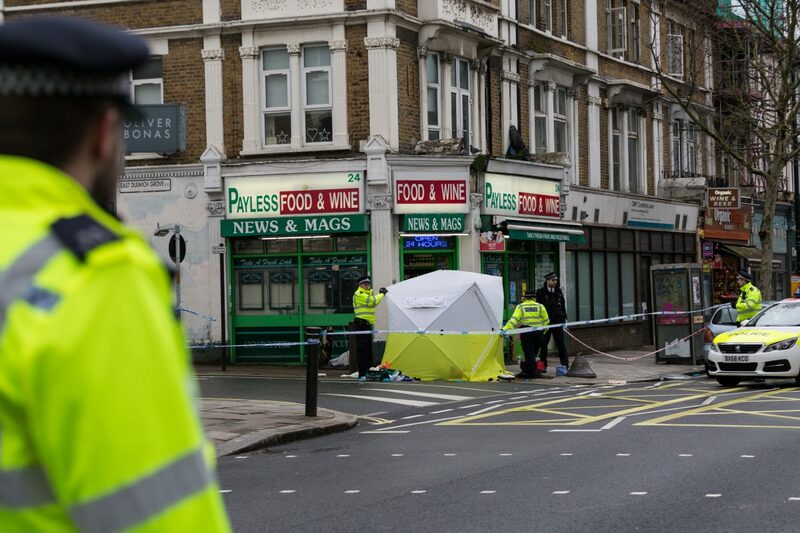 A 17-year-old is fighting for his life in hospital after being shot in Isleworth, west London. And a 23-year-old man is “critical” in hospital after being stabbed in Neasden, north west London, late on Saturday night. Police say a 24-year-old woman and a 29-year-old man have been arrested in connection with the Neasden attack. Detectives are appealing for witnesses to the stabbing in Cairnfield Avenue at around 10.45pm on Saturday. A Scotland Yard spokesman said: “The 23-year-old victim was taken to a central London hospital, where he remains in a critical condition. 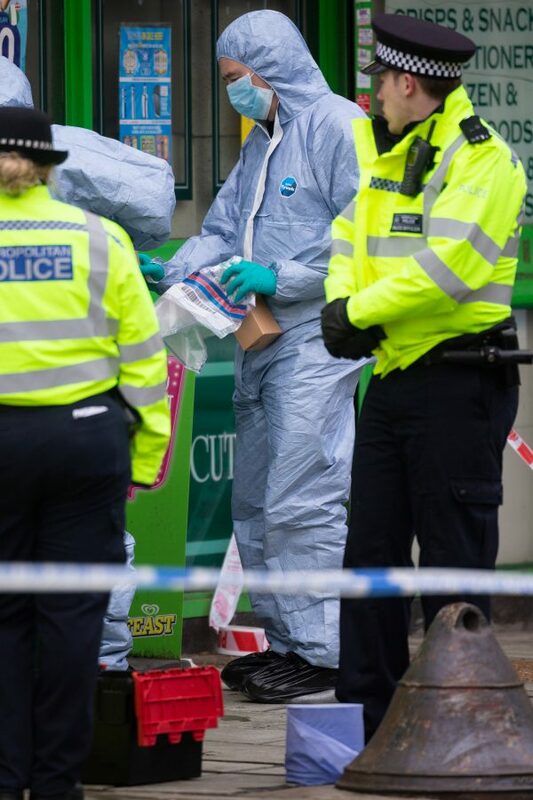 “A 29-year-old man was arrested at the scene on suspicion of attempted murder – he remains in custody. “A 24-year-old woman was also arrested on suspicion of assisting an offender – she also remains in custody. NHS doctors warned this weekend that they treat double as many knife injuries as a decade ago and the knife injuries they are seeing are becoming more horrendous, affecting younger victims and caused with professional weapons designed to cause serious injury rather than household knives. The Home Secretary has announced the introduction of new ASBO-style knife crime prevention orders that will be able to be enforced on suspects as young as 12, though Sajid Javid has also come under criticism as he admitted last week that police have been cut by 21,000 nationwide.